Foxwoods is going after poker-playing New Yorkers and anyone else from the Greater New York area who’s willing to take a gamble in Connecticut. Foxwoods Resort Casino has a deal with Madison Square Garden advertising in the final five minutes of pro hockey and basketball games. The advertising campaign, Foxwoods hopes, millions of New York sports fans, commuters and people passing through midtown Manhattan will come here and “discover the wonder” of gambling in Mashantucket. 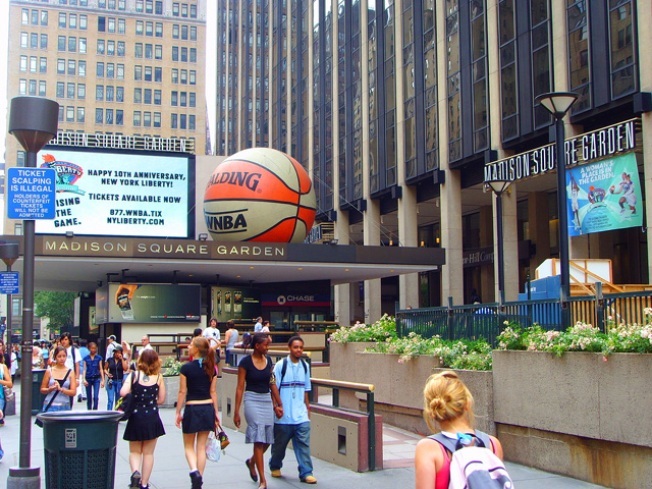 Foxwoods' chief marketing officer Robert Victoria said the deal is worth more than $1 million and includes Foxwoods advertising on MSG television, a high-visibility billboard outside Madison Square Garden on 42nd Street in New York and below the arena in Penn Station. The ads will air on Knicks, Rangers, Liberty, Devils and Islanders home games broadcast on MSG's cable sports networks. In a tight economy, Foxwoods and Mohegan Sun have been going after the New York area market for about a year and a half. In August, Foxwoods struck a deal to grab exclusive naming rights on Broadway’s former Hilton Theater. In July 2009, the two casinos teamed up for a marketing campaign that blasted Atlantic City casinos with billboards that said: "Way Beyond the Boredwalk"; "Escape the Jersey Snore" and "Two Worlds Beat One City."